It provides a variety of phrases and idiomatic expressions that can be used in writing and places great emphasis on writing in different genres, including literary and media texts. Learners are also introduced to the cultural aspects of writing, such as writing and responding to different types of letters. A chapter on creative writing in Arabic is featured to encourage learners to utilise their vocabulary and grammar skills, and a chapter on learners’ writing errors will enable readers to reflect on the type of mistakes they may make in their writing, and how to overcome them. Key Features *Includes a broad range of writing genres: letters, summaries, articles, etc. 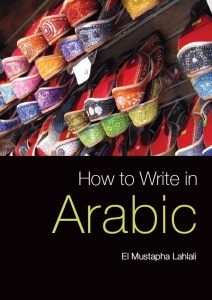 *Provides a theoretical and practical guide on how to use connectors and cohesive devices *Helps the learner accumulate a wide range of vocabulary in context *Challenges the learner with a variety of Arabic writing exercises.